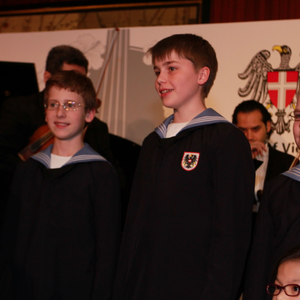 For the first time in 14 years, leaders of Vienna visited Hong Kong and brought with them the world-renowned Vienna Boys Choir and the Vienna Philharmonics, who put together a breathtaking performance for Hong Kong elites; guests in attendance include Johanna and Ronald Arculli, Che-hung Leong and the Police Commissioner, Tsang Wai-hung. We took this opportunity to speak with the Vice Mayor and Deputy Governor of the City of Vienna, Renate Brauner, and learned about the multiple facets of the cultural-heavy city in Austria. In the interview below, the amiable Brauner tells us which events visitors should keep an eye on, where to go and what to see in Vienna. Asia Tatler: Please describe the City of Vienna in three words. Renate Brauner: Beautiful, creative and safe. Asia Tatler: What do you mean by “safe” and can you please elaborate? Renate Brauner: I’ve talked to many friends, especially female friends, from overseas and one of their concerns when travelling is taking the underground (metro system) at night. My answer is always this: you are very safe and welcome to do that in Vienna. And I think this is very important because experiencing the underground is an essential part of travelling. Asia Tatler: Being the deputy governor of the city of music, what is music to you? Renate Brauner: You may not be able to tell when you look at me now, but I used to be a ballet dancer when I was very young. Music to me is the motivation to move. I love dancing and that also goes to Viennese people; they like to dance and they like to celebrate. This makes us very positive. Asia Tatler: Can you tell us something about Vienna that few visitors of the city know about? Renate Brauner: One thing a lot of people don’t know about Vienna is that the city is one of the centres for visual arts in Europe. There’s an old slaughterhouse area we turned into a media centre, named Media Quarter Vienna, which we renovated and combined with modern architecture. Different aspects of creative industries in Europe, from designs, fashion and visual arts, are concentrated there. 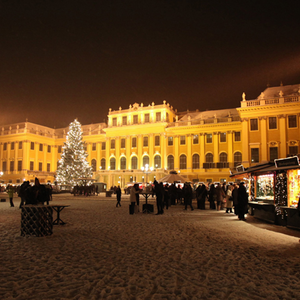 Asia Tatler: What are the major festivals and events in Vienna that we should keep an eye on? Renate Brauner: There’s a big cultural event held just outside of our City Hall named the Wiener Festwochen (Vienna Festival), which is a significant event that attracts theatrical and musical artists from all over the world every year. 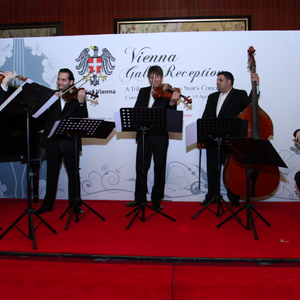 This is no doubt the annual event in Vienna (this year’s edition will take place from May 11 to June 17). 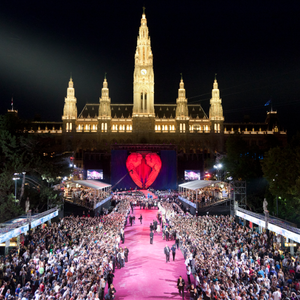 Another event that makes me very proud is the Life Ball in Vienna, the biggest charity event to support people who suffer from AIDS. It is organised by a very close friend of mine, Gery Keszler. International stars have attended it over the years, including Sharon Stone and Bill Clinton, who opened the ball last year. Like all traditional Viennese balls, it begins with a fashion show that comes with big names like [Jean Paul] Gaultier and Dolce & Gabbana and is followed by a ball – which is really a big party in our City Hall (the Life Ball will be held on May 19 this year). Asia Tatler: What do you think are the major differences between Hong Kong and Vienna? 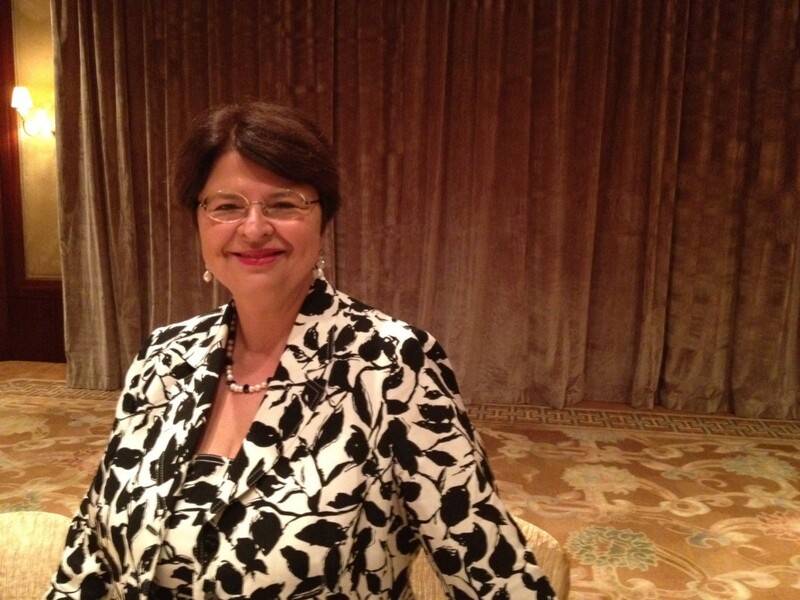 Renate Brauner: I think Hong Kong is a very busy city, and a tough one to find success in. But I really find more similarities than differences – we’re both hubs in our regions: Vienna is the doorway to Europe while Hong Kong is the gateway to the Asia and more specifically, China. There’s only one thing that Vienna is missing, that is the sea. I’d really love to be in a city where you can see a harbour and be in contact with the sea. Asia Tatler: What makes the City of Vienna special? Renate Brauner: In no other countries or cities will you find tradition, history, beautiful music and art pieces mixed so well together with such modernity like in Vienna. Our city is also special because we talk and communicate with each other. There’s a saying in Vienna when we face a problem: “Let’s sit around the table, let’s have a glass of wine and talk about it”. This kind of communication is one reason why Vienna has an extremely high quality of life. Asia Tatler: Is there a restaurant in Vienna that you frequent and can you recommend a dish to us? Renate Brauner: There are many! But there’s one called Silberwirt, owned by a very close friend of mine. It is a very old and traditional Viennese restaurant, transformed into a very trendy place. On the one hand you have very high quality traditional Viennese food with a beautiful garden, on the other, you’re greeted by the modernity of Vienna. When you’re in Vienna, you must try the Vienna schnitzel, which is a big pan-fried veal. Asia Tatler: If there is one thing you could bring back to Vienna from Hong Kong, what would it be? Renate Brauner: Besides the harbour? I think people here are very creative and active, that is something I really appreciate. I also hear that the underground is very well-developed. But what I really want to bring back is more cultural collaboration between the two cities, like what we just heard – two choir groups from Vienna and Hong Kong performing as one team. That really moved me. 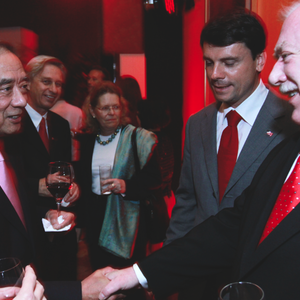 Hong Kong elites and socialites attended the Hong Kong Philharmonic Orchestra charity concert.